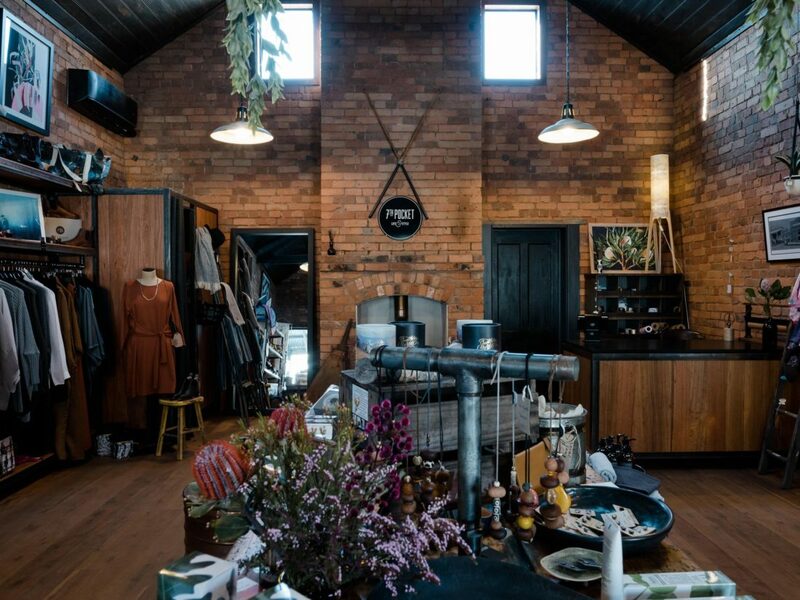 Orginally a billards room and made from local red brick, this newly renovated, pared back space has been revitalised highlighting its rustic orgins, and now is 7TH POCKET Lifestyle Boutique. 7TH POCKET only stocks and supports local and Australian artisans and designers. The carfelly curated collection embodies a strong sense of orginality, quality and purpose. These goods are not only good for you, but the planet, too. 7TH POCKET dosent follow trends- it focuses on providing a unquie selection of slow fashion, timeless apparel, footwear and accessories for men and women, together with seasonal homewares, organic skincare, gifts, boutique teas and coffee. 7TH POCKET is proud of and passionate about supporting our own ethical, sustainable Austrlian brands, and offers its customers authentic pieces that are made without impacting our environment.